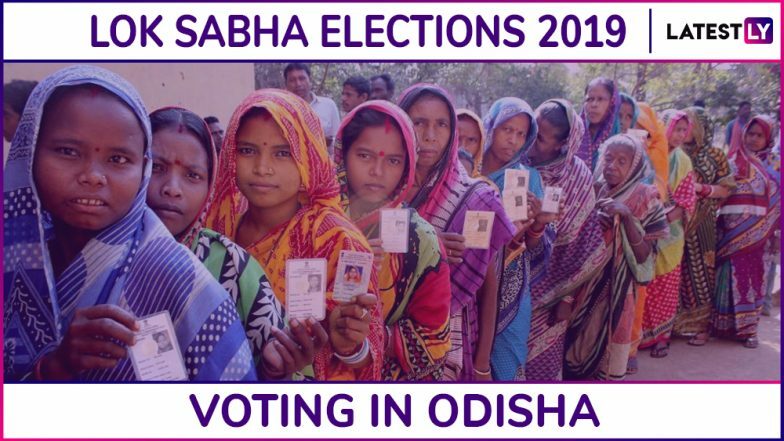 Bhubaneswar, April 11: Voting for the first phase of Lok Sabha Elections 2019 and Assembly Polls has begun in Odisha. Phase 1 polling concludes in Odisha, 66% polling registered. However, 6-7 recorded zero polling. Polling was done in four Lok Sabha seats and 28 assembly constituencies in the first phase of polls in Odisha on Thursday. As per OTV News reports, two polling booths, booth no - 6 and 8 in Temurupali under Mathili block of Malkangiri had zero voter turnout, reportedly due to the fear of Naxals. The four constituencies voting today are Kalahandi, Nabarangpur, Berhampur and Koraput. It is interesting to note that along with these four Lok Sabha constituencies, the citizens of Odisha will also decide the who their MLA from 28 assembly seats will be. This is due to the fact that the 2019 Assembly Elections will run concurrently with the Lok Sabha Elections in the state. With such intense battle lines drawn, politics is at its peak in the state. Odisha Lok Sabha Elections 2019 Schedule: Constituency-Wise Dates Of Voting And Results For General Elections. Over 60 lakh voters will exercise their right to vote in the first phase of the election on Thursday on 7,233 booths. The main concern for the authorities is the fact that the majority of the areas that go to polls are Maoist-affected and hence maintaining law and order is a real challenge. The central forces are coordinating with the state security agencies to ensure a smooth election process is carried out in these areas. The Malkangiri and Koraput districts are under the lens of the authorities especially after the Maoist attack on BJP MLA Bhima Mandavi along with four other in Dantewada that lead to their death. Kalahandi Lok Sabha Constituency in Odisha: Candidates, Current MP, Polling Date And Election Results 2019. The Kalahandi Lok Sabha constituency has seen campaigns from several political bigwigs like the Indian Prime Minister Narendra Modi, Odisha Chief Minister Navin Patnaik, Congress chief Rahul Gandhi and his BJP counterpart Amit Shah. The reason being Congress stalwart Bhakta Charan Das, BJP state chief Basant Panda and BJD titan Puspendra Singh Deo are all in fray from this constituency. Behrampur could see a close contest between the Congress and the BJD while Koraput has Jayaram Pangi of BJP fighting against first-time candidates Kaushalya Hikaka and Saptagiri Ulaka of BJD and Congress respectively. Sitting BJD MP from Nabarangpur – Balabhadra Majhi – has switched to BJP and is up against Ramesh Majhi who is a member of the Navin Patnaik’s BJD government. The BJD has a real acid test ahead of them in the State and the Lok Sabha elections with several big names switching to BJP. Odisha can also turn out to be a happy hunting ground for Congress who have come up with ‘Nyay’ scheme. It should be an interesting three horse battle in this eastern state of India.